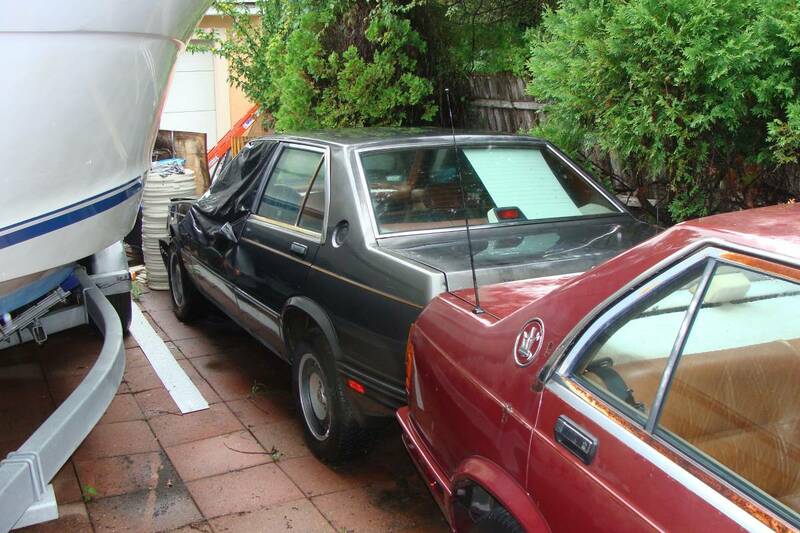 If one Maserati BiTurbo is the sign of an eccentric car collector, then two Maserati BiTurbos must be the sign of something else. No...not mental illness..more like...the sign of a pragmatic eccentric car collector. A hobbyist...nah...a hoarder...maybe...a connoisseur...YES? 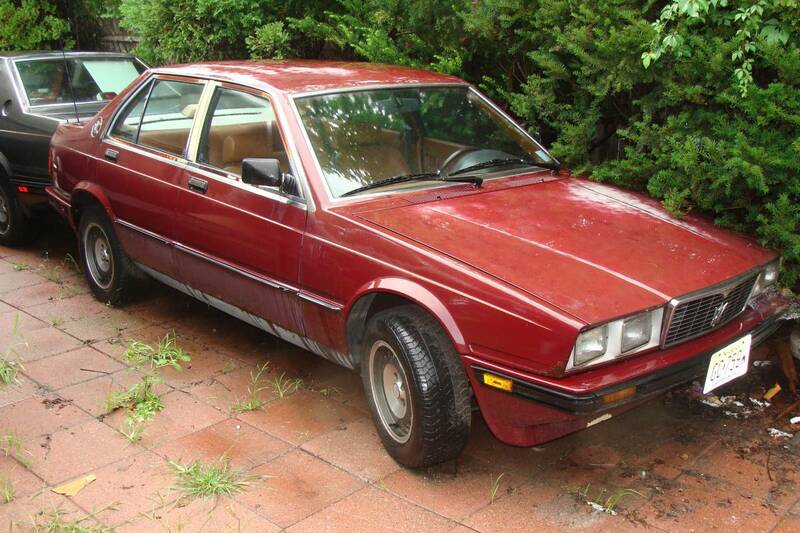 Find these 1986 Maserati BiTurbo 425 sedans offered for $2000 in Nawth Joy-zee via craigslist. From Cory. bought them to restore them in 2002 and never did anything with them. Engines are fine mechanically, I started them up last year and can probably get them to fire up for you if I put a battery in it, engines ran strong. Don't do it! I had one back in the mid 90's and damn if it wasn't the biggest POS I've ever had the pleasure of owning, I would have been better off literally flushing the money I used to buy it down the toilet. Does anyone ever actually buy these when they go up for sale? I don't get the appeal of these things. They're not exactly the high point of Italian styling even at DT prices, weren't spectacularly fast by 1980s standards, and I'm pretty sure no preteen boys of the era had posters of a Maseratti Biturbo in place of one of a Lambo or Ferrari. Do people buy them as a mechanic status symbol, in the hopes they can make the statement, "I alone have kept this car running, where countless others have failed!" Little known fact: an 'urbo' is italian slang for bank account. Watched the video, I think you've found the only "BiTurbo" that won't break down after driving around the block. If I recall correctly, these were once voted the best car to leave to your wife in a nasty divorce.